Blood droplet. 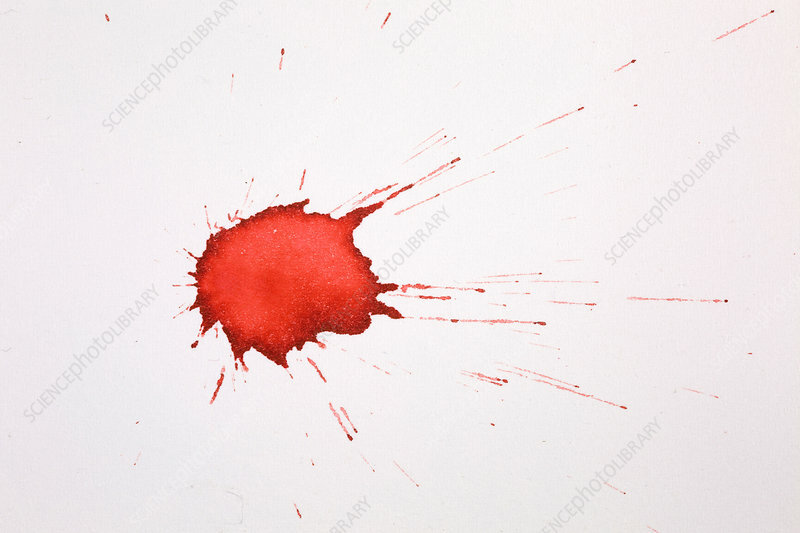 In forensic science, the pattern created by projected blood is analysed to determine information about the origin on the body, the weapon used and the number of blows, the relative position of the victim and assailant, and the sequence of events. This is a single drop that fell 20 cm onto a paper surface angled at 45 degrees to the horizontal.